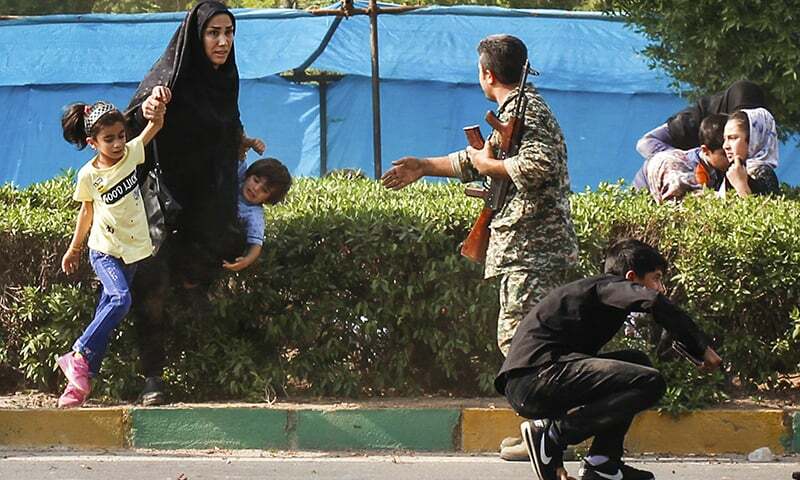 Iran's President Hassan Rouhani vowed a “crushing response” after gunmen shot dead at least 29 people including women and children on Saturday in an attack on an Iranian military parade. The Islamic State (IS) group claimed to have carried out the rare assault in the southwestern city of Ahvaz, while Iranian officials accused “a foreign regime” backed by the United States of being behind it. “The response of the Islamic Republic of Iran to the smallest threat will be crushing”, Rouhani said on his official website, after addressing a similar military parade in Tehran to commemorate the start of the 1980-1988 war with Iraq. Foreign Minister Mohammad Javad Zarif said the attack near the Iraqi border was carried out by “terrorists recruited, trained, armed & paid by a foreign regime”. “Iran holds regional terror sponsors and their US masters accountable for such attacks,” he wrote on his Twitter account. 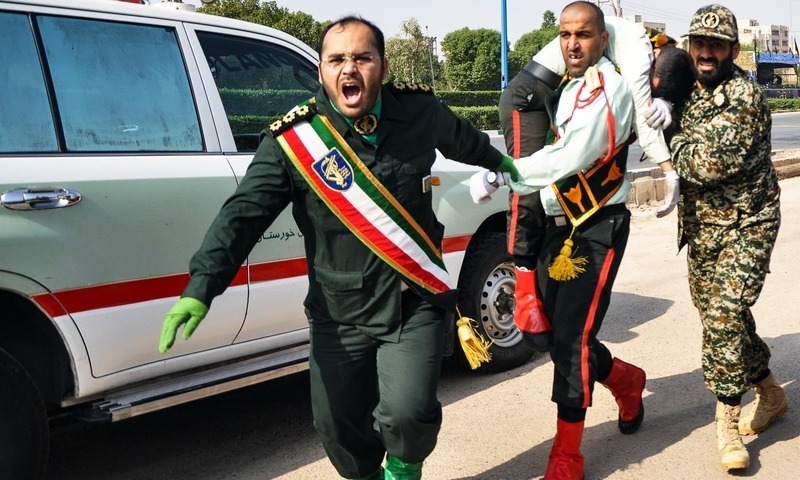 Ahvaz lies in Khuzestan, a province bordering Iraq that has a large ethnic Arab community and has seen separatist violence in the past that Iran has blamed on its regional rivals. 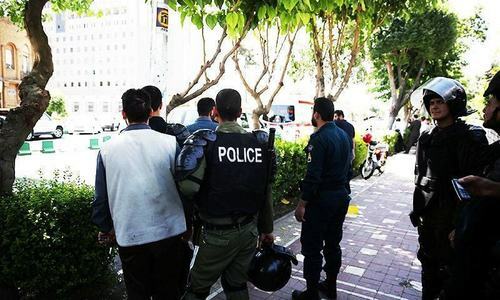 Behrad Ghasemi, a local journalist who witnessed the attack, said shots rang out for 10 to 15 minutes and that at least one of the assailants, armed with a Kalashnikov assault rifle, wore the uniform of Iran's Revolutionary Guards force. “First we thought it's part of the parade, but after about 10 seconds we realised it was a terrorist attack as bodyguards (of officials) started shooting,” he told AFP. IS said via their propaganda mouthpiece Amaq that “Islamic State fighters attacked a gathering of Iranian forces” in Ahvaz. 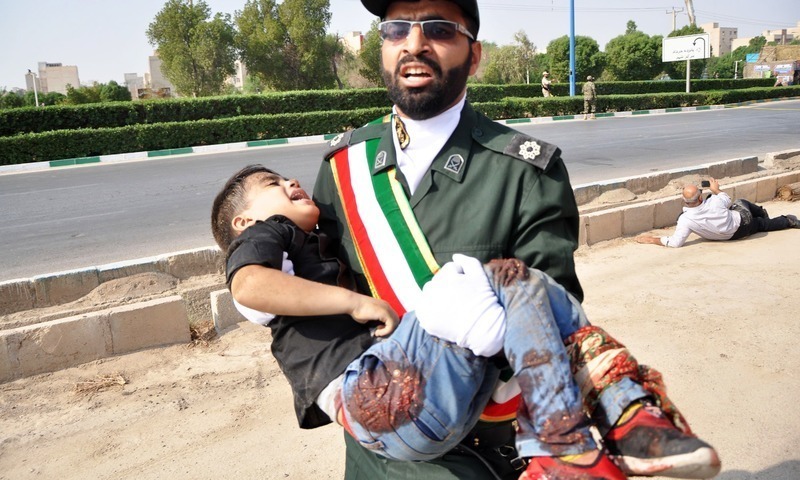 State television gave a casualty toll of 29 dead and 57 wounded, while the official news agency IRNA said those killed included women and children who were spectators at the rally. Many of the wounded were in critical condition. Zarif did not specify which regional government he held responsible for the shooting, but the Revolutionary Guards accused Shia-dominated Iran's Sunni arch-rival Saudi Arabia of funding the attackers. Armed forces spokesman Brigadier General Abolfazl Shekarchi said the dead included a young girl and a former serviceman in a wheelchair. He told state television three attackers were killed at the scene and the fourth died later of his injuries. Khuzestan deputy governor Ali-Hossein Hosseinzadeh told ISNA that “eight to nine” troops were among those killed, as well as a journalist. In a message of condolence to Russia's close regional ally, President Vladimir Putin said he was “appalled by this bloody crime” which was a reminder of the “necessity of an uncompromising battle against terrorism”. Syria, another ally, said it stood in “full sympathy and solidarity with the Islamic Republic of Iran”, while neighbouring Turkey expressed “great sorrow” at what it called “a heinous terrorist attack”. Khuzestan was a major battleground of the 1980s war with Iraq and the province saw unrest in 2005 and 2011, but has since been largely quiet. Attacks by Kurdish rebels on military patrols are relatively common along the border further north. But attacks on regime targets inside major cities are far more rare. 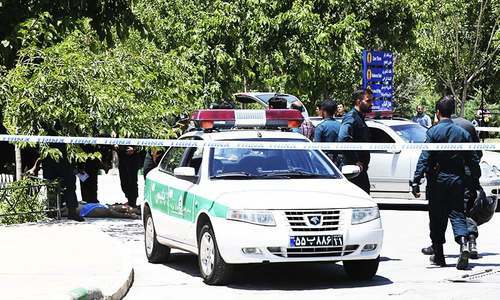 On June 7, 2017, 17 people were killed and dozens wounded in simultaneous attacks in Tehran on the parliament and on the tomb of revolutionary leader Ayatollah Ruhollah Khomeini — the first inside Iran claimed by IS. In April, 26 alleged members of the extremist group went on trial on charges connected with that twin attack. 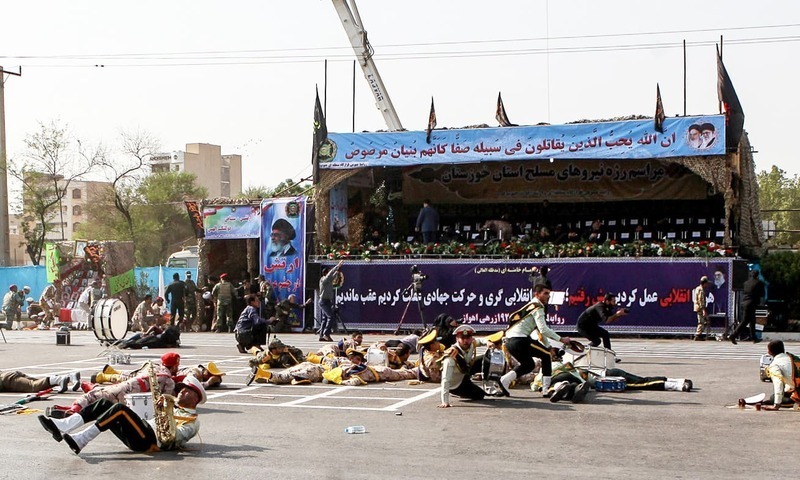 The attack in Ahvaz came as Rouhani and other dignitaries attended the main anniversary parade in Tehran. In a keynote speech, he vowed to boost Iran's ballistic missile capabilities, despite Western concerns that were cited by his US counterpart Donald Trump in May when he abandoned a landmark nuclear deal with Tehran. “We will never decrease our defensive capabilities... we will increase them day by day,” Rouhani said at a military parade. “The fact that the missiles anger (the West) shows they are our most effective weapons,” he said. 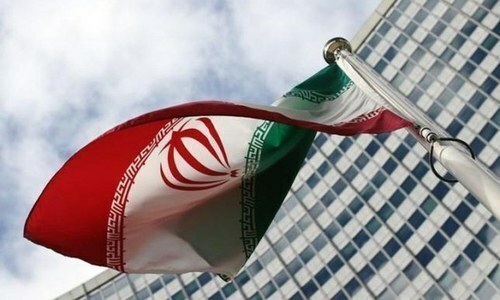 The United States reimposed crippling sanctions on Iran last month, and a new round of even harsher sanctions targeting Iran's vital oil sector is set to go back into effect on November 5. Washington has said it is ready to open talks on a new agreement to replace the July 2015 accord, but Tehran has repeatedly said it cannot negotiate under pressure from sanctions. 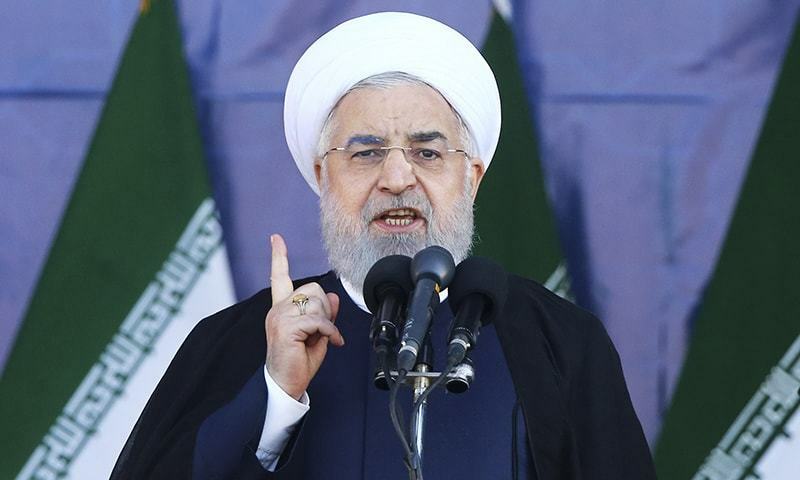 Rouhani leaves Sunday for New York to attend next week's United Nations General Assembly along with Trump, but Iran has repeatedly ruled out any meeting. Pak should share its strategic resources with Iran in return for oil and other resources.Win win for brothers .Peace thereafter will prevail. New government of Pakistan should have sent condolences in strong language via Twitter just as they do for other events. What is politics of being quiet on loss of innocent lives? Terrible news condolence to the familes and the brave people of Iran. The pepetrators will be identified and punished. Condolences to Iranian people for the loss of incocent lives. 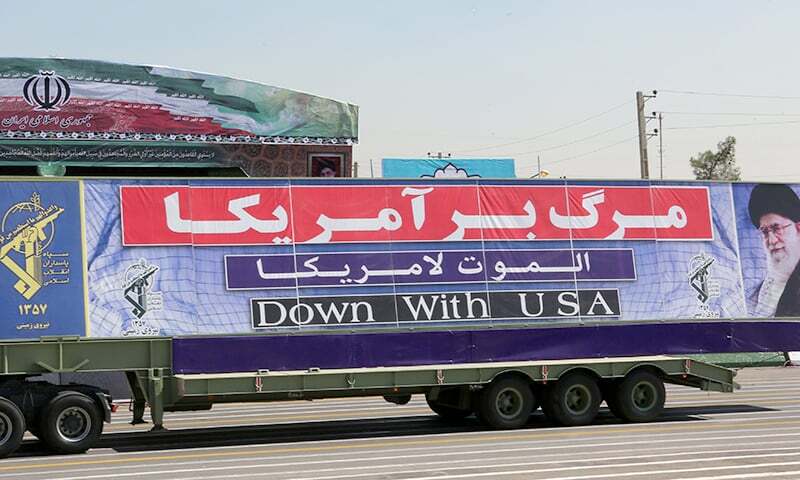 Blaming the United States for everything is what keeps the regime in power. In fact they blame the U.S. every Friday rain or shine. It is extremely strange and beyond understanding that a country (Iran) which does not possess even one nuclear device and very few long-range missiles (ballistic ones) which can reach its soil is being portrayed as an ‘existential threat’ to a country which possesses tens of thousands of ballistic missiles which can reach farthest parts of Iran and beyond and over ten thousand excessively lethal nuclear devices which can be delivered by those missiles and is still trying to show that she is insecure and apprehensive of that country’s words and actions. Is not it an extreme kind of folly, madness, irrationality and idiocy? The proverb: ‘Might is right’ is the right message conveyed by this idiocy. Peace must prevail in the world. On the other hand, an equally appropriate response to the US and her Gulf stooges at the right time and place would be justified. @Big Cheese: and they are right! Read the history, start from IRAQ-IRAN war. Why are you so naive!